Summit's success is attributable to our active communication with clients, understanding of clients' needs, knowledge of environmental regulations (including local, state, and federal regulations), utilization of emerging and innovative technologies to increase data quality and project time efficiency, and our overall ability to bridge the gap between regulations and our clients. We will focus on providing high quality consulting for our clients while we pioneer new technologies that change the way we look at our planet’s physical, cultural, biological, and chemical relationships, thereby providing more cost effective, directed, and purposeful solutions. Since 1991, our mission has been to provide technically superior and cost effective consulting solutions in an environment which promotes unparalleled client satisfaction and employee growth. Summit Envirosolutions is a consulting firm providing comprehensive environmental services using state-of-the-art environmental management information systems to evaluate and provide scientifically based direction on projects associated with all types of environmental impacts. Summit is an innovative firm comprised of a diverse group of environmental professionals. Summit's full-time professional staff consists of archaeologists, architectural historians, environmental scientists, geologists, and hydrogeologists. Summit has utilized our innovative company philosophy to develop project data management systems that provide timely and cost-effective project results for our clients. Our project approach is not complicated; we implement an observational approach by applying the appropriate technologies with experienced personnel. Summit has the ability and capacity to clearly understand the scope of projects, visualize and predict the direction of projects, while maintaining the client's point of view. Our staff has the competence to provide more accurate field data, in a shorter period of time, at costs consistently below our competitors. Summit does not believe in the perpetual tasking and sub-tasking of every step in a project, which results in a larger project team, duplication of efforts, and increased project costs. Instead, we provide the level of support necessary combined with our technologies to complete specific project tasks in a timely and cost-effective manner. We distinguish ourselves from other firms by utilizing the most experienced staff in the field, rather than sending entry-level staff. Where other firms primarily use CAD and spreadsheets to analyze and report data, Summit uses GIS and database tools that we built ourselves. The result is a high quality synthesis of project data that can be communicated to clients and regulators more efficiently at lower fees. Over the last 25 years, Summit has been a pioneer in developing technologies to increase the quality of environmental consulting. We partnered with NASA in the 1990’s as part of their Earth Observation Commercial Application Program (EOCAP) to develop ways to look at groundwater using mathematical and hydrogeologic algorithms. We acquired technologies that use a genetic algorithm to evaluate sampling plans and krige data differently than the current status quo at the time. We utilize geophysical methods where appropriate. We built our own database query and visualization tools. We built our own telemetric data acquisition equipment. We think that these innovations demonstrate the expertise and commitment to think outside the box to do the best we can for our clients. We can build a solution for you. 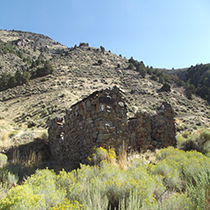 Summit’s cultural resource management (CRM) program is designed to assist our clients in achieving compliance with federal preservation legislation in Section 106 of the National Historic Preservation Act, the National Environmental Policy Act (NEPA), and other federal and state laws and regulations related to historic and archaeological resources. Summit's Environmental Resource Management (ERM) program provides responsive, effective and comprehensive environmental services to our clients by evaluating the environmental aspects and needs associated with land transactions, property development, contamination investigations, and site remediation. 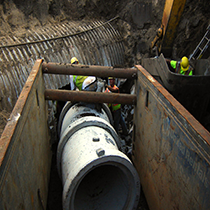 Summit's Water Resource Management (WRM) program is designed to assist our clients with their water resource needs. 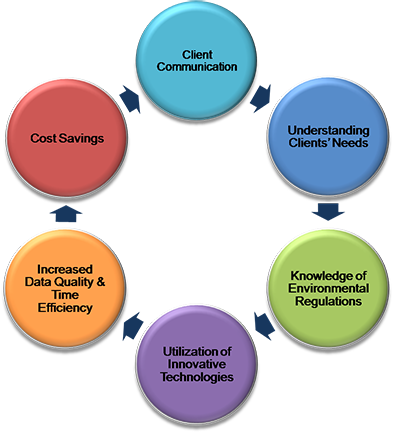 Summit’s approach combines experienced professionals with state-of-the-art technologies to provide superior, innovative, cost effective WRM consulting. Software for the groundwater monitoring industry—used to import, store, analyze, export, and report environmental information. From import through reporting, EPIPHINY could be the easiest, most robust .NET application on the market today. 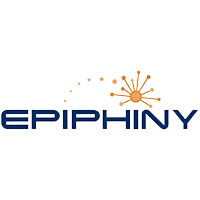 Created by scientists and engineers, EPIPHINY has been designed to hook up with any platform and import or convert data for export to your favorite software—or use ours. Save time and money with our intuitive interface and strategic business logic behind the scenes. HAVE YOUR EPIPHINY TODAY! AQUILYTICS® is a system of hardware, software, and services that combine data from sensors, dataloggers, SCADA, databases, spreadsheets, and almost any other data source to display historic or real-time data with state-of-the-art accuracy. Do you need AQUILYTICS? SampleOptimizer™ represents the latest evolution in long term monitoring optimization (LTMO) software. For the first time, the power of true mathematical optimization has been applied to LTMO in an easy-to-use desktop software tool to reduce sampling redundancy. SampleOptimizer™ is the culmination and combination of years of research in mathematical optimization, data analysis, and environmental engineering. 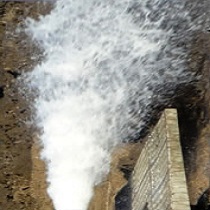 Experts in the fields of geology, hydrogeology, computer and environmental engineering, geostatistics, contaminant geochemistry, and remedial system optimization have applied their technical and field expertise to develop the sound approaches implemented in the software.